Salespeople often use a wide range of tools to help convert more leads and drive more revenue. As you add more tools to your sales process, your sales data is scattered in too many different places. All of this information must be arranged into one manageable hub if you want an accurate view of performance. But driving fast growth demands more time selling and less time managing data. A 2016 PwC study reflected this problem, finding that 40% of salespeople’s time is spent on non-client-facing work. You can’t afford to waste precious sales time copying and pasting between tools. This manual admin is prone to human error, and in some instances, your team will just cut corners to save time and avoid the data-entry drain on their workload. If your reps take matters into their own hands and start entering junk data to save more time, you’ll be forced to make important decisions based on messy data and half-baked insights. How do you avoid this time-wasting admin handicap while still harnessing the power of separate specific sales automation tools? Intercom offers a suite of messaging-first products that help you proactively engage visitors with chat when they’re live on your website and automatically qualify and route the best leads to the right sales reps.
Intercom have just launched a brand-new app that integrates with your Pipedrive CRM – making it easy to sync your data and turn more of your leads into customers. 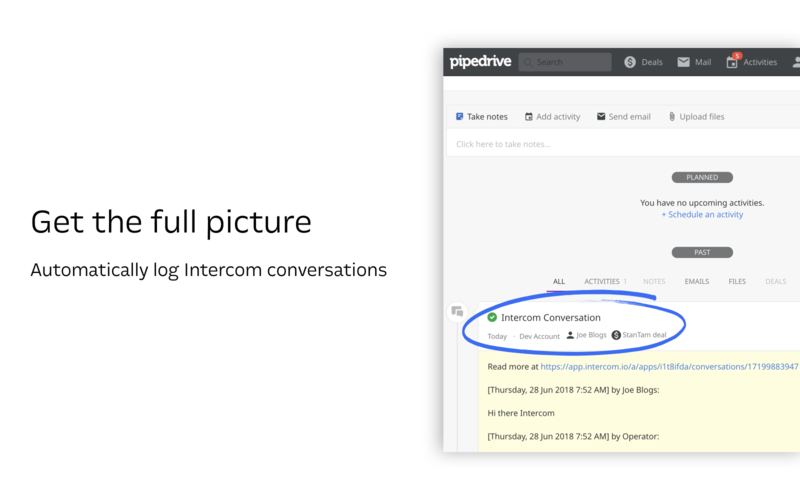 The new app enables you to track leads and conversations from Intercom in your Pipedrive account. Beta users of the app are already seeing increased conversion rates. You and your team will save so much valuable selling time. No more switching between tools or copying and pasting data. 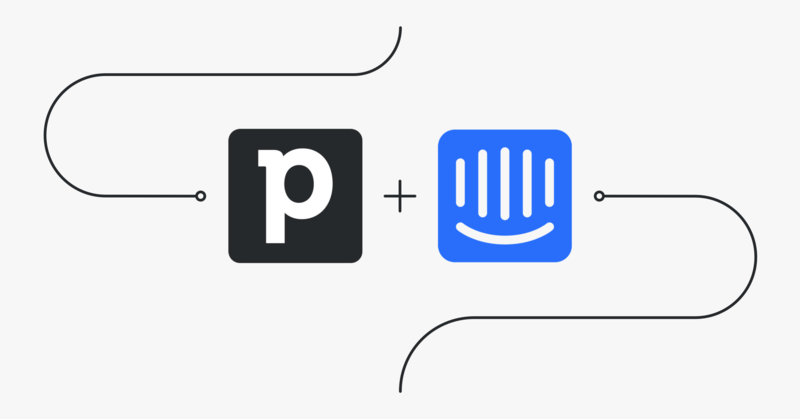 Intercom customers using similar data-syncing apps are sending over 1,700 leads per week to external tools. Integrating Pipedrive and Intercom is easy. 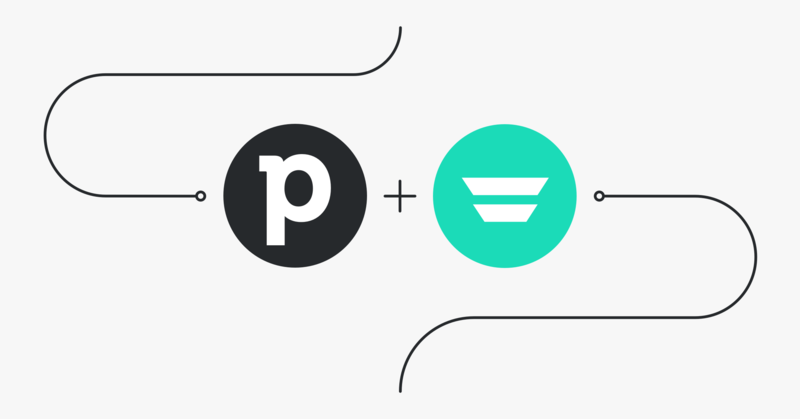 Install the app in just one click from the Pipedrive Marketplace or the Intercom App Store. 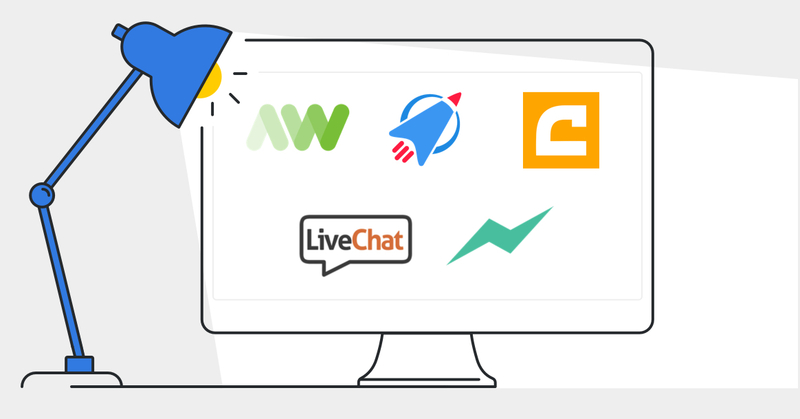 Now, as you generate leads with Intercom – with targeted on-screen messages or your customized Messenger home screen – you can create deals for them in Pipedrive. Simply click “Create deal” in your Intercom Inbox to create a deal in Pipedrive and link it to the lead. If the lead doesn’t already exist in Pipedrive, the app will add a person in Pipedrive as well. You can then use Pipedrive's pipeline tools to move the deal forward. 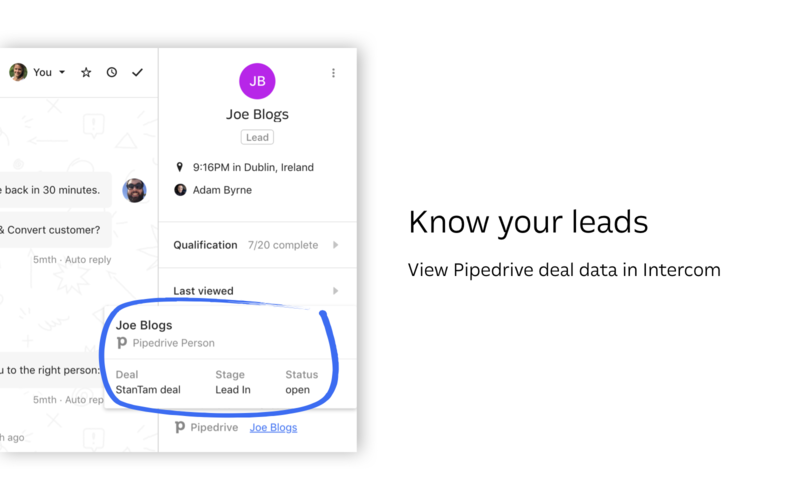 For any lead that’s linked to a Pipedrive deal, you can view the details of that deal – including the deal name, stage, and status – directly in your Intercom Inbox. This gives you valuable context about a lead, so when you’re chatting in real time, you won’t miss a beat in your conversation or waste time switching tabs. Even better – for all leads that have been synced with or sent to Pipedrive, any conversations you have with those leads in Intercom will be automatically logged in their Pipedrive profiles. Now you have a complete view of the interactions your lead has had with your company – no matter which teams or team members have previously interacted with them. You’ll need an Intercom account to begin using the app. If you don’t have one, getting started is easy. You can sign up for a free trial and add the Intercom Messenger to your website or app. 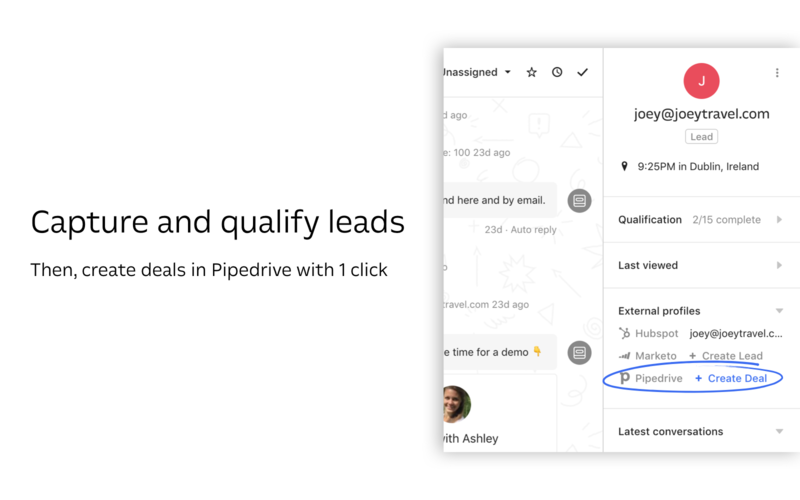 Then, once you integrate with Pipedrive, you can generate leads using the Intercom Messenger, follow up with those leads using your existing Pipedrive workflows, and make sure that all of your teams have the context they need to close more deals.